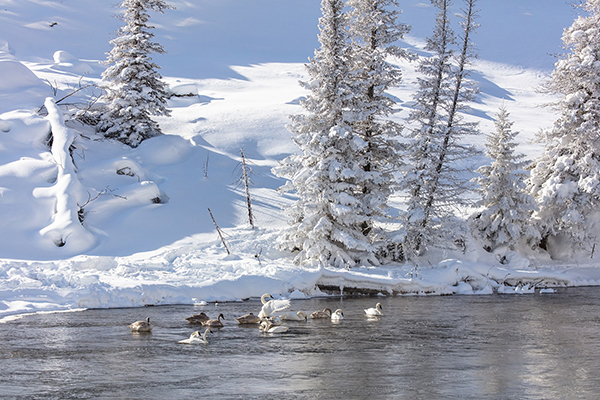 Yellowstone National Park had more than 4 million visitors in 2017; yet, there are still places to find solitude. Being an inveterate introvert, I avoid large crowds—well, really, even groups of people numbering 15 or more—like the plague. Yet the places that call to me are some of the most jam-packed because they hold such incredible beauty: spots such as Yellowstone National Park, which had 4,116,524 recreation visits in 2017; or Yosemite National Park, which had 4,336,890 recreation visits that same year. For decades, I thought that enduring large crowds was the price I would have to pay in order to experience the places that I loved—that is, until I had a one-on-one conversation with the woman who prepared all of the food on a 2009 Natural Habitat Adventures’ tour to the Great Bear Rain Forest. Our base of operations, at the time, was a small sailboat; and it was “all hands on deck.” We were asked to take turns wiping dishes after the evening meal, a task we were all capable of and happy to do. When it was my turn to help in the kitchen, it didn’t take long for the cook to figure out that I was the quiet sort. She looked me in the eye one night and said, “You know, even on a small boat, there are places to get away from everyone else.” Then, she mentioned the back of the boat in the evening, where I would likely not meet another soul. All these years later, that particular conversation has stuck with me. And it makes me wonder: are there other ways to “go small” in the great, big and charismatic outdoors? If, like me, you enjoy traveling to our national parks, one way to go small is to visit those that have the fewest numbers of visitors. According to the National Park Service, the Aniakchak National Monument and Preserve in Alaska is the least visited site of the 418 units in the National Park System. Located 350 miles southwest of Anchorage on the Alaskan Peninsula, the 600,000-acre preserve—accessible by boat or floatplane out of King Salmon—had just 100 recreational visits in 2017. When you arrive at Aniakchak, you won’t find a visitors’ center, any permanent facilities or trails. 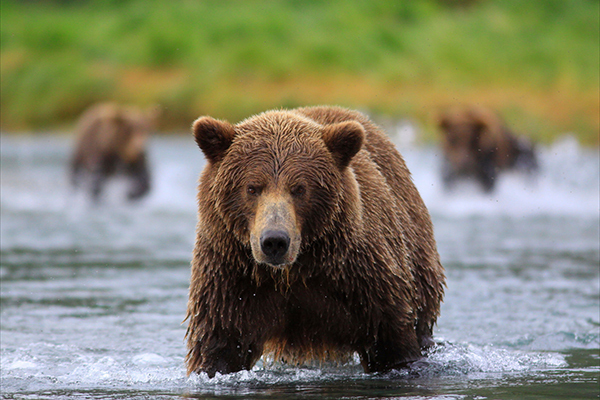 What you will discover is a collapsed volcano whose caldera is home to hot springs and a lake where brown bears feast on salmon. It’s been described as an area of postapocalyptic cinder cones, hardened lava and flame-colored walls. Each year, the top 10 most visited national parks rarely change. But while those parks are certainly worth checking out, there are dozens of others that see very few people each year, yet they have just as much to offer. For example, in the Pacific Northwest, the stunning and truly wild North Cascades National Park in Washington state is often overlooked. Reminiscent of the Alps, it’s perfect for backpacking and hiking. Although places such as Big Bend National Park in Texas, Isle Royale National Park in Michigan, Katmai National Park and Preserve in Alaska, Mesa Verde National Park in Colorado and Redwood National Park in California tend to have fewer amenities, they are all magnificent and offer the same level of sweeping views and exploration opportunities—yet they are near the bottom half of visited national parks each year. If you can be flexible in your plans and are willing to get off the beaten path, you can find the solitude and serenity that you’re looking for in some very stunning surroundings. Another way to go small in your travels is to go where you get the feeling that you are alone—or at least, that you share such special spots with only a few others. 1. Belize. Central America’s least visited country and one of its safest, Belize has Caribbean shorelines to the east and dense jungles in its west. Offshore, the Belize Barrier Reef has rich marine life and hundreds of low-lying, serene islands. While it costs a couple hundred U.S. dollars per day to sample the charms of the isolated Himalayan kingdom of Bhutan, it keeps the country from being overrun by mass tourism. 2. Bhutan. 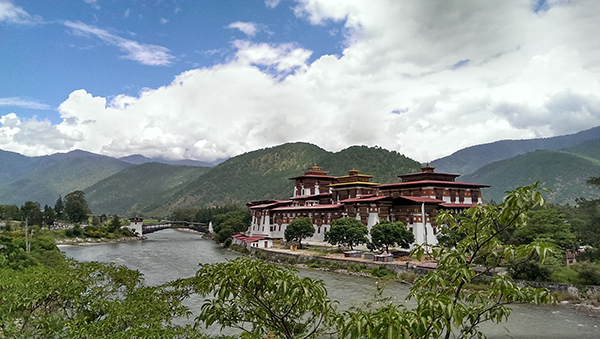 High on the Himalayas’ eastern edge, the Buddhist kingdom of Bhutan prides itself on “low volume, high-value” tourism. Bhutan is largely untouched by time and the tread of tourists—and it’s the happiest country in the world. 3. Okavango Delta, Botswana. Botswana’s tourism model means you’ll avoid crowds at any time of the year (the government highly restricts the number of beds that can go in any national park). In the northern part of the delta, some of the concessions are around 65,000 acres with just 10 tents total. Limiting the number of humans allows animal populations, such as baboons and lions, to flourish. 4. Haida Gwaii, Canada. Haida Gwaii, known as the “Canadian Galapagos” for its endemic flora and fauna, feels like another planet. The 175-mile-long chain has benefited from extreme isolation, with some of the largest and oldest cedar and spruce trees on the planet; 20 kinds of dolphins, porpoises and whales; and animal subspecies that exist nowhere else. Only a dozen visitors at a time are allowed to set foot on some of the islands. 5. Quito, Ecuador. Ecuador is known worldwide as a destination for outdoor adventurers: there are volcanoes to climb in the Andes, jungles to wander through in the Amazon and giant tortoises to meet in the Galapagos. But too many people skip over one of Ecuador’s real treasures: its capital, Quito. Crowds are never overbearing, including in the cobblestoned Centro Historico (Historic Center), UNESCO’s first World Heritage city. 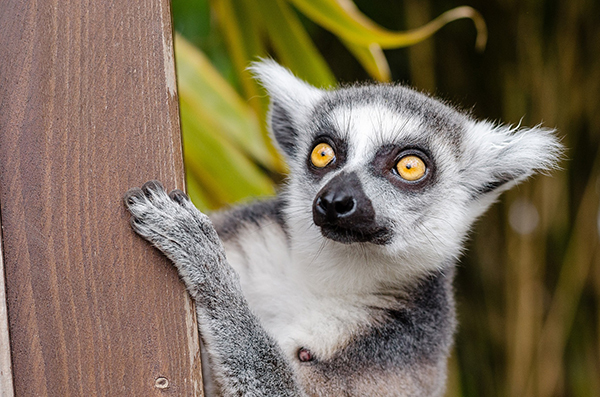 Wild, large-eyed lemurs in Madagascar make this island in the Indian Ocean feel like a real-life Jurassic Park—long before humans came on the scene. 6. Madagascar. Rustling with bug-eyed lemurs and shy geckos, this island in the Indian Ocean has been described as the “greatest adventure you haven’t had yet.” The ports are remarkably free of boat-crowding, which makes Madagascar feel like an empty, real-life Jurassic Park. 7. Etosha National Park, Namibia. Etosha, in northern Namibia, isn’t in the usual rundown of must-do southern African safaris. Its centerpiece, however, is an otherworldly, 1,900-square-mile salt pan, home to more than 100 species of animals, including the Big Five. There are only a handful of lodges in the park, which keeps crowds relatively low. 8. Abel Tasman National Park, New Zealand. Abel Tasman National Park is New Zealand’s smallest but one of its most beautiful. Temperatures hover around 60 degrees in winter, which makes it comfortable to do both the hiking trails and kayak routes, putting you out of the way of most tourists who can be found on the slopes of Mount Ruapehu and at the Treble Cone Ski Area. 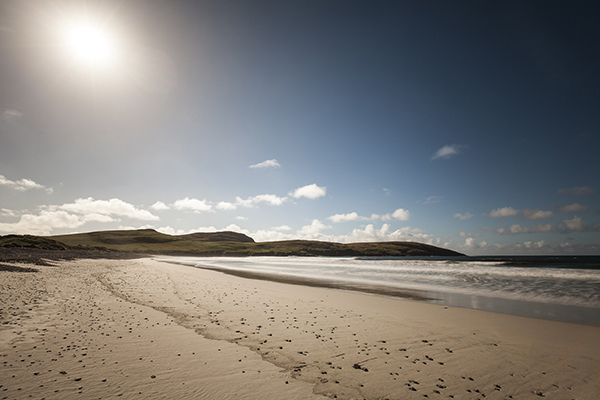 In the Outer Hebrides in Scotland, you can lie on a white-sand beach with no one else around. Of course, another way to travel small is to go to tiny places, such as the smallest national park unit by size. That can be found in Philadelphia. At just .02 acres, it comprises just one building, and it’s the former residence of Thaddeus Kosciuszko, a Pole who fought in the American Revolutionary War. But I think, usually, traveling inherently involves the big world “out there,” so it follows that going small has to mean making a place personal and intimate, no matter how large the landscape. 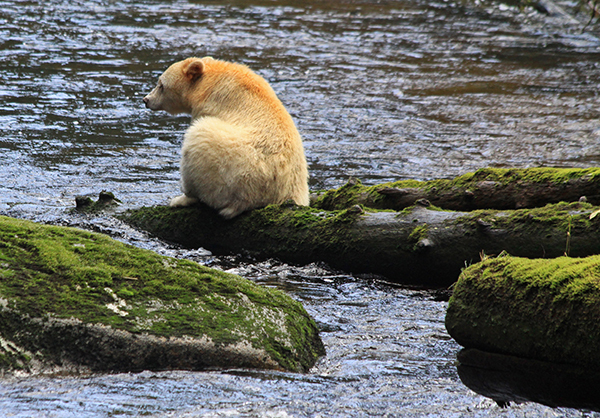 Just take it from me: in the 15.8 million-acre Great Bear Rain Forest, I was able to find aloneness and spiritual solace in a small sailboat’s galley, wrapped in the mists of the trees and the dampness of a dish towel. Gosh, funny you are talking about introvert travels. I’m developing 16 travel personalities based on Carl Jung, who first introduced travel typing and I’ve also sourced Myers-Briggs, and the Four Temperments. Loved your article and the photo is breathtaking. Maybe we can collaborate down the road if you have an interest. For now, keep the gorgeous photos and great article coming! Our world has provided us with an abundance of opportunities if only we would seek them out-from diverse geographies, landscapes, cultures, and historical landmarks, to vast selections of mountains, rivers, streams, oceans, forests, meadows, plains, hills and valleys. Let’s explore! I love that attitude, Thomas Sawyer! Thanks for the comment. —C.G.A.